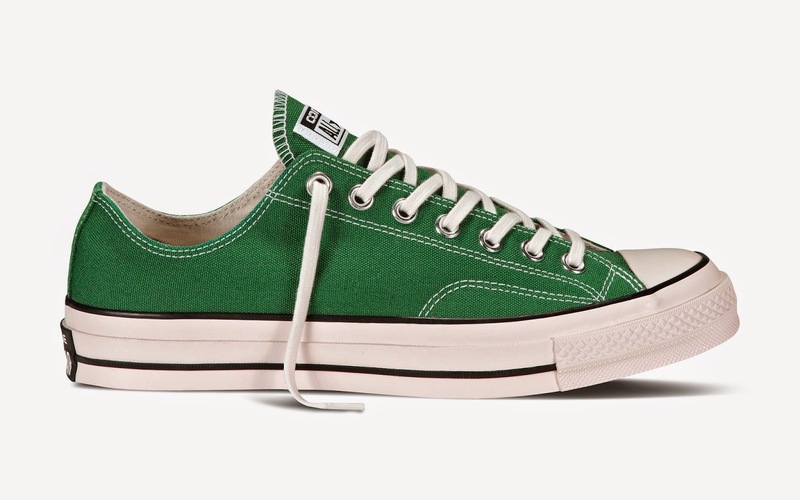 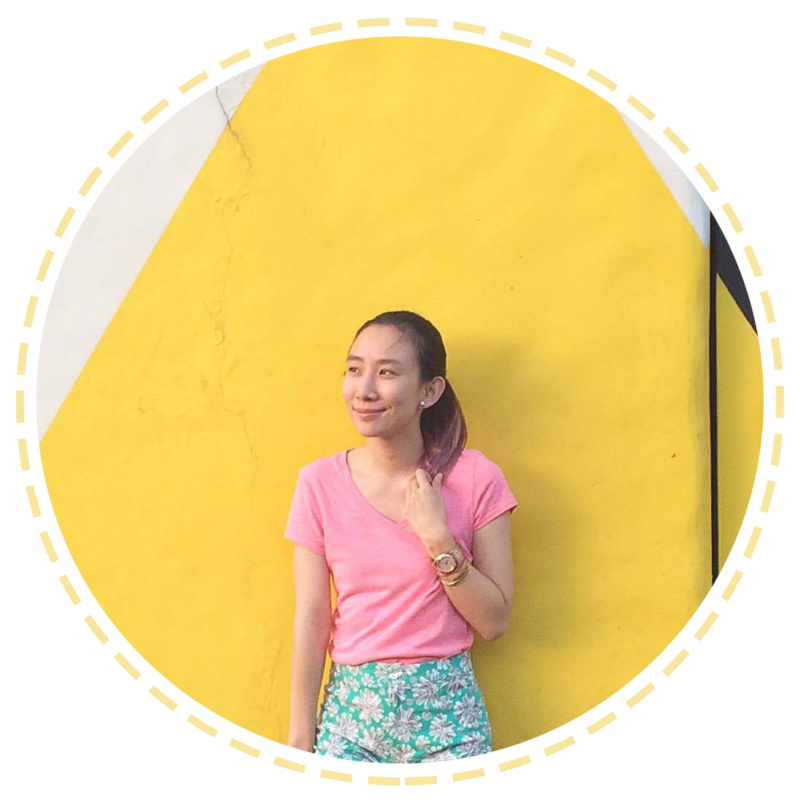 To all sneaker fans out there, you'll be happy to know that last August 19, 2014, Converse has officially launched their Fall 2014 All Start Collection featuring new silhouettes and elevated detailing. 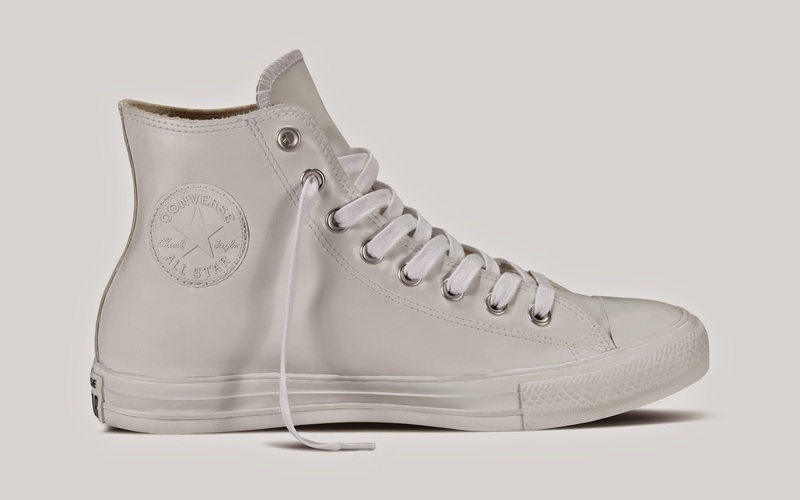 Featuring a sleek monochromatic look, the new Converse Chuck Taylor All Star Rubber protects from rainy day weather and music festival mud pits. 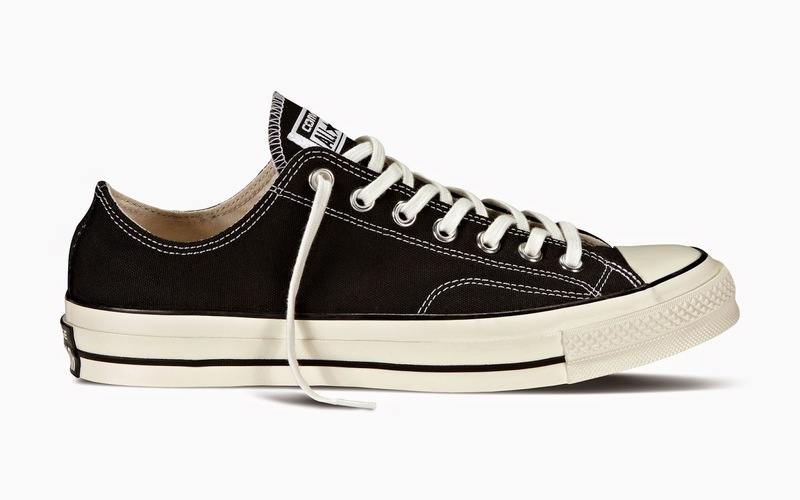 The new Converse Chuck Taylor All Star Rubber features a French terry lining with a rubber upper in rich monochromatic colors. Designed with a gusseted tongue and brass eyelets, the water resistant Converse Chuck Taylor All Star Rubber is built to help protect you on rainy days. 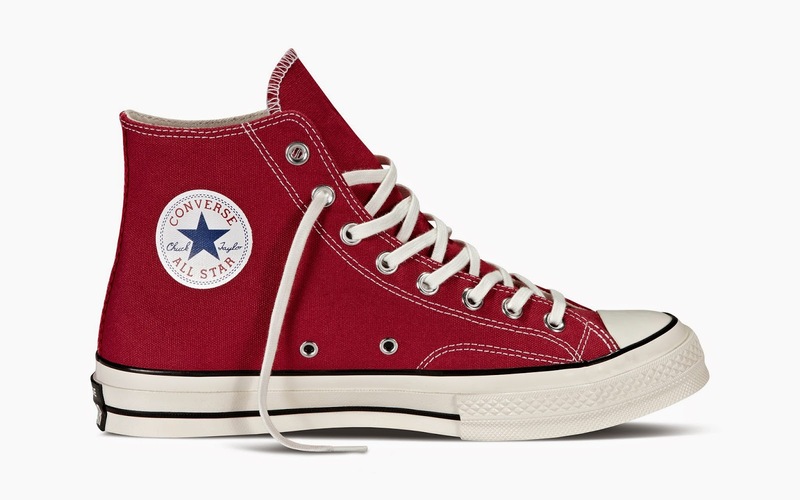 Providing a new twist to a classic silhouette, the Converse Chuck Taylor All Star Back Zip is available in a vintage wash twill with an embroidered Converse All Star patch, burnished suede with detail beading on the zipper, and classic canvas in core colors. 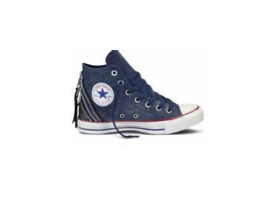 A brand new style for fall, the Converse Chuck Taylor All Star Tri Zip features zipper detailing with pops of color and materials. 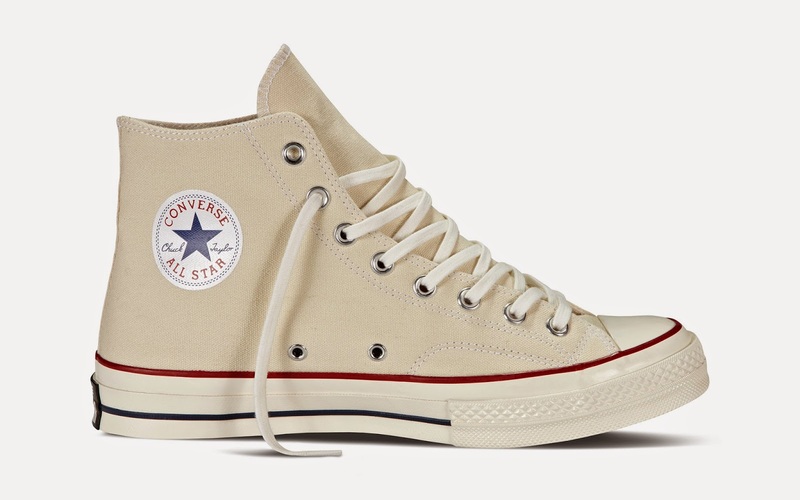 The collection is available in a sparkle washed canvas and premium suede. 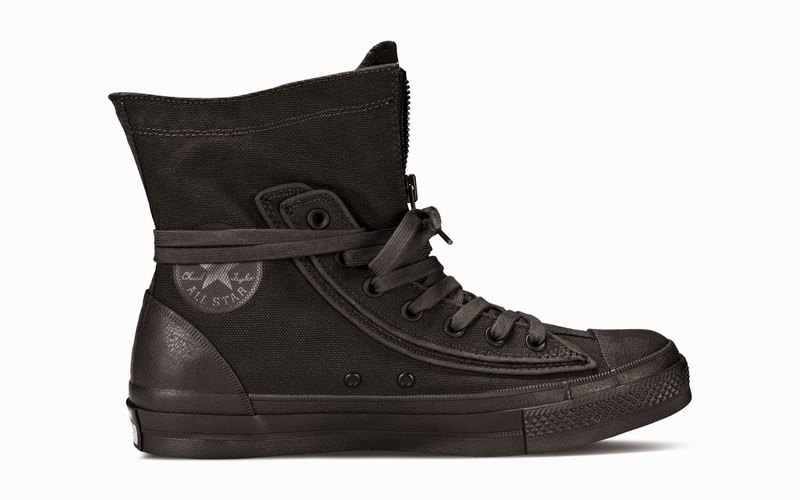 Details such as leather zipper pulls and waxed laces complete the collection that’s perfect for day or night. 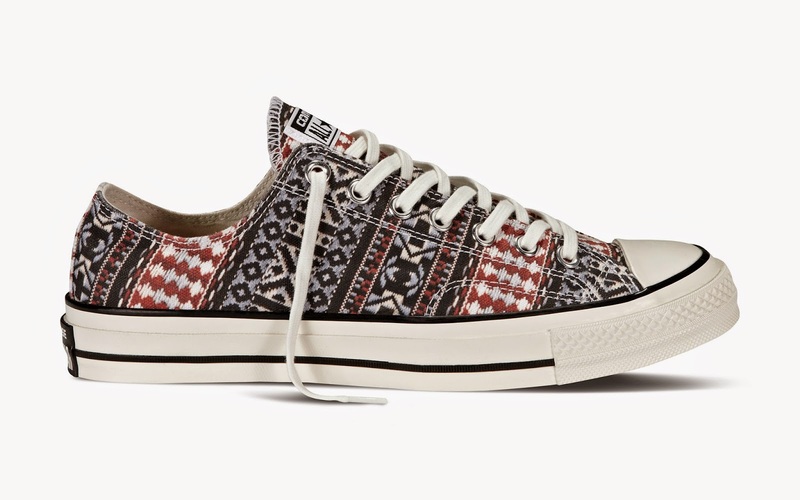 The material featured on the Converse Chuck Taylor All Star ’70 Woven has hand-crafted look and feel with details such as round leather laces and tanned leather toecaps. 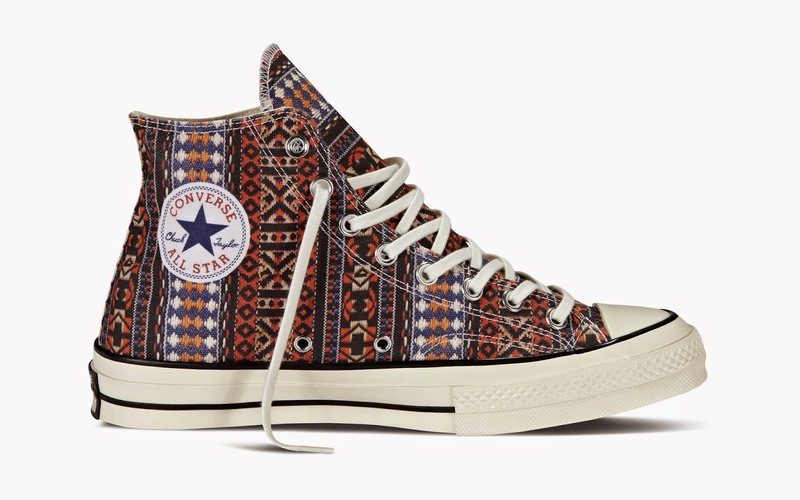 The Converse Chuck Taylor All Star ’70 Woven is available as a high-top and low-top styles. 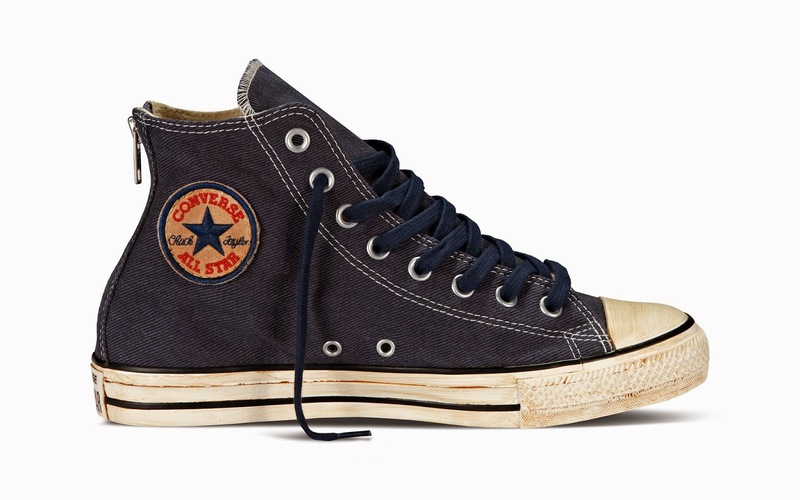 The Converse Chuck Taylor All Star ’70 returns with updated prints including zebra, giraffe and cheetah animal prints. 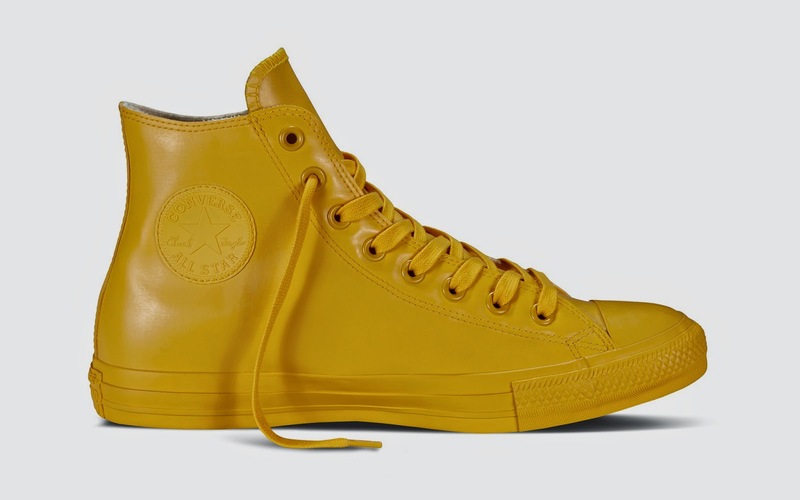 Additionally, the zebra print features UV sensitive technology, turning the white of the shoe royal blue and laces yellow when exposed to the light. 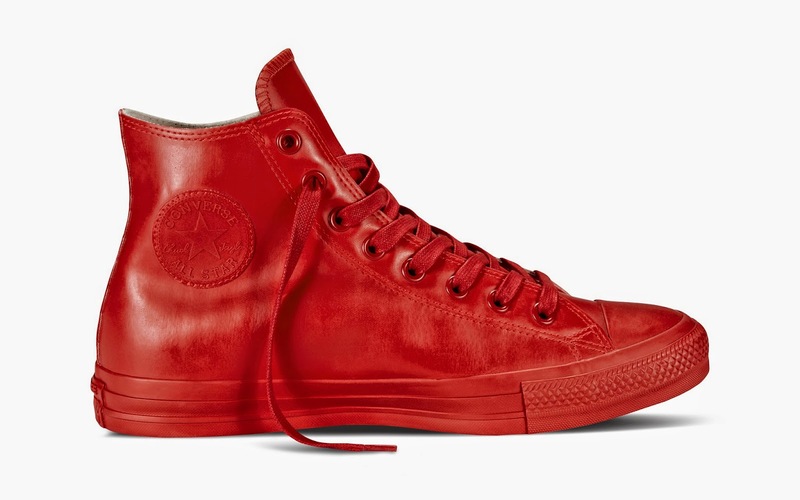 The Converse Chuck Taylor All Star ’70 will also be available in new core colors and is available in high-top and low-top styles. 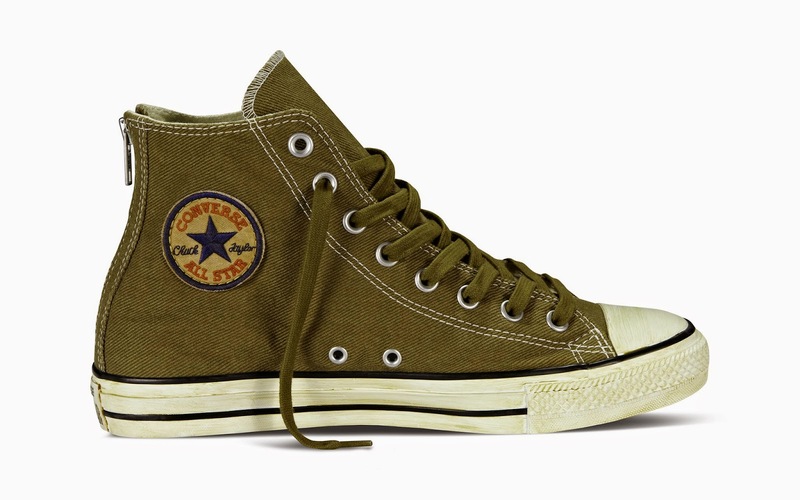 Inspired by military boots, the Converse Chuck Taylor All Star Combat Boot comes equipped with a double overlay eye row, larger opened collar, tongue zipper and extra-long laces. 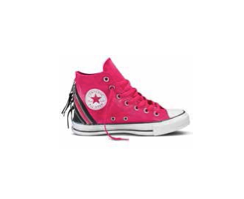 A rubberized toe and heel provides extra protection. 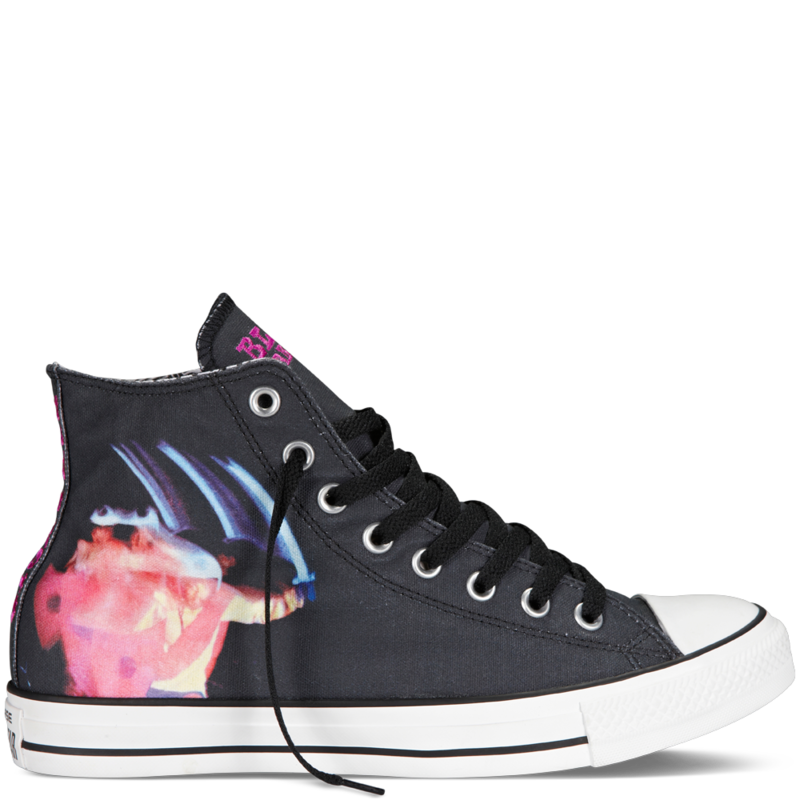 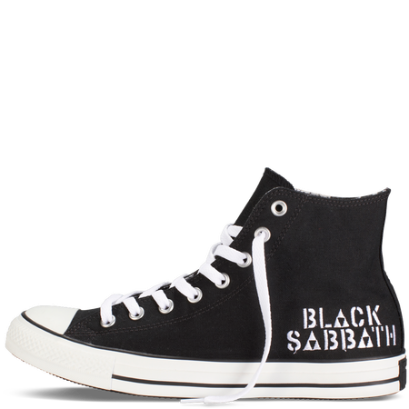 To amplify the Fall 2014 Converse All Star Collection, Converse returns with two leading collaboration styles- the Converse Chuck Taylor All Star Black Sabbath and Converse by John Varbatos. 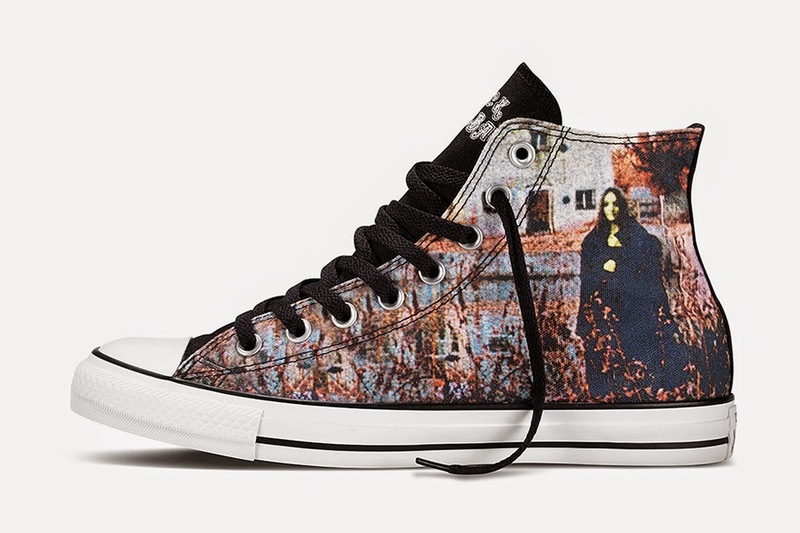 The Converse Chuck Taylor All Star Black Sabbath celebrates its second collaboration with iconic photos and album artwork. 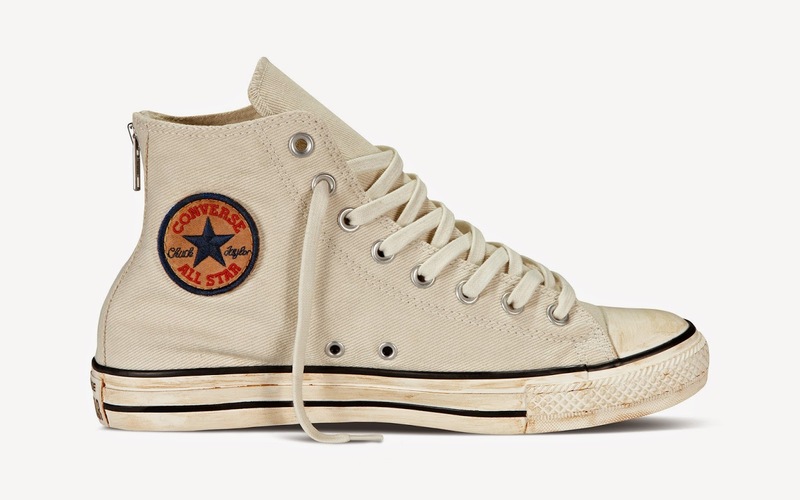 The Converse by John Varvatos All Star Multi-Eyelet features a resin coated textile treatment and washed down attention to give a vintage look and feel. 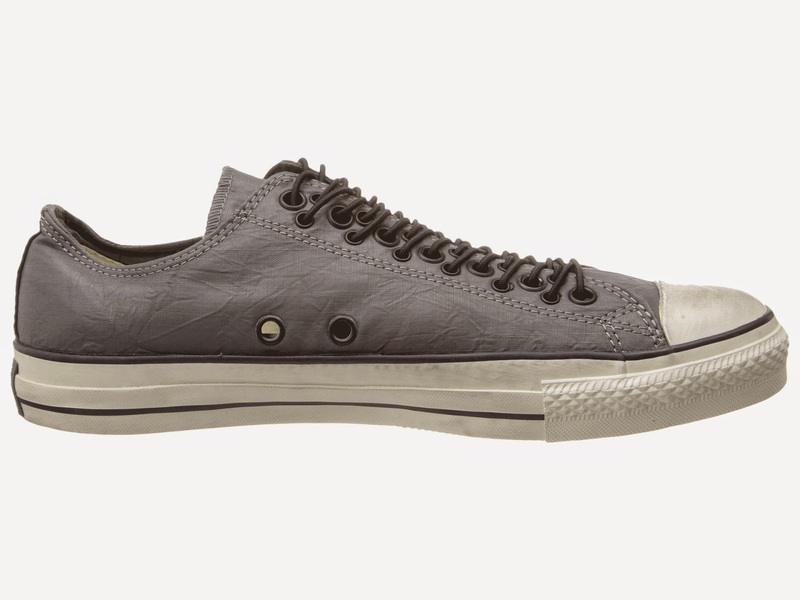 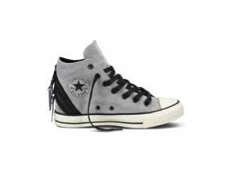 The Converse by John Varvatos All Star Multi-Eyelet features a burnish midsole with a multitude of elastic laces.